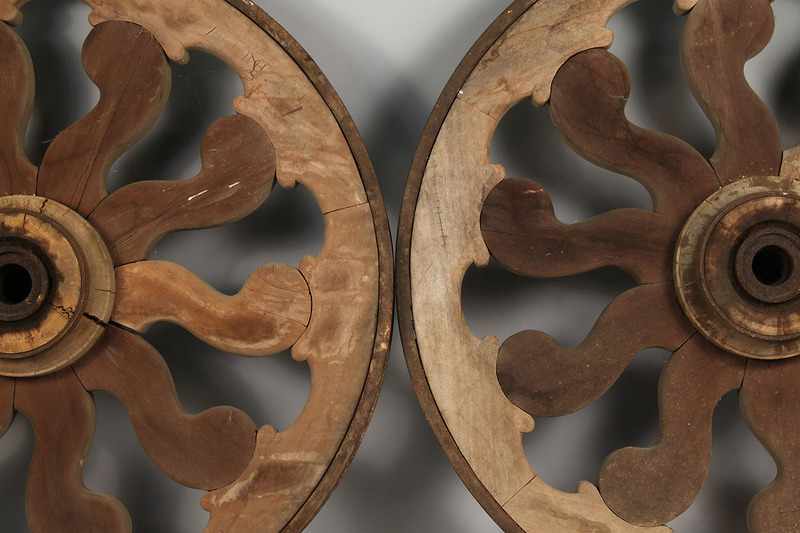 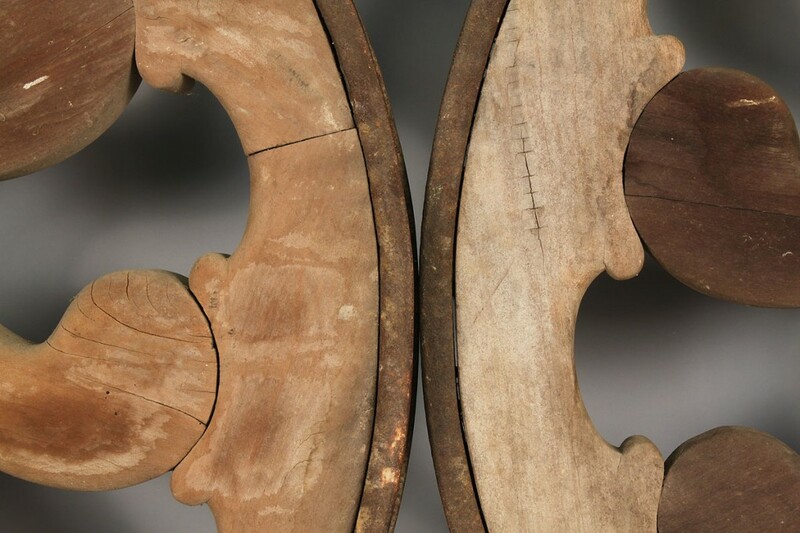 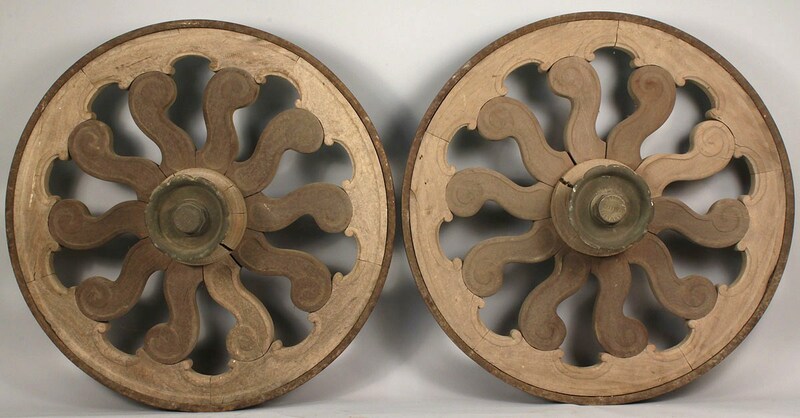 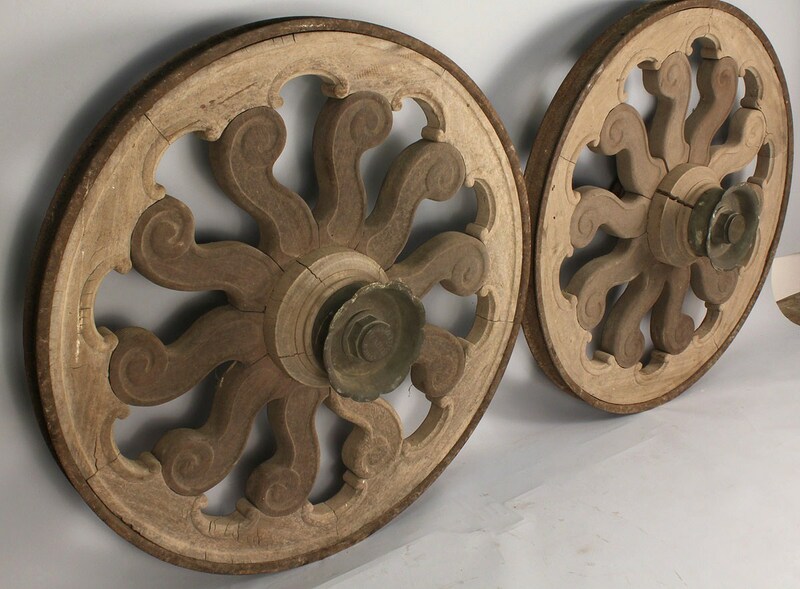 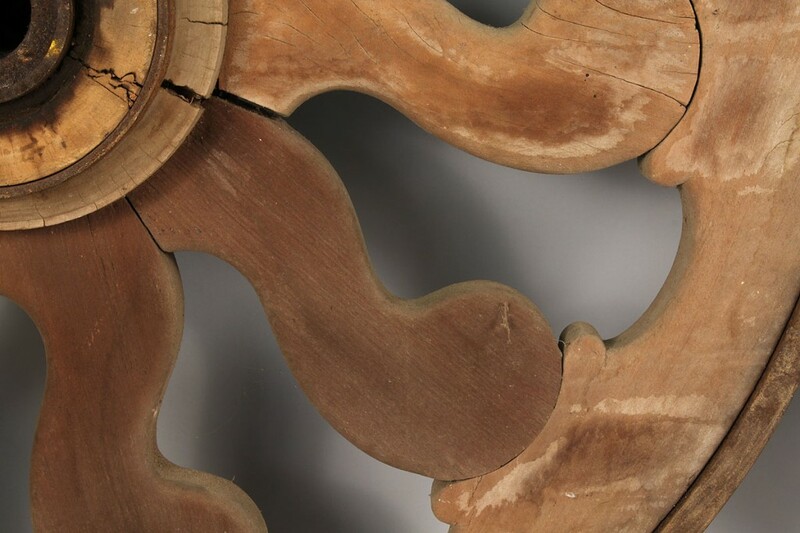 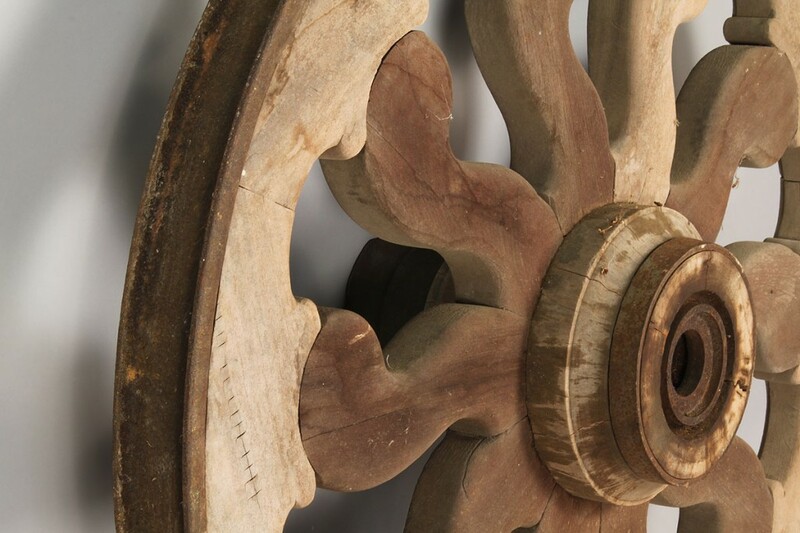 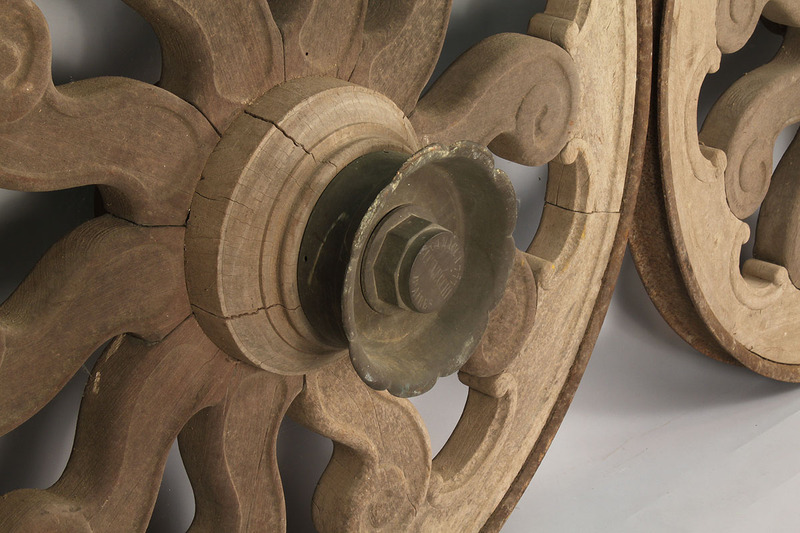 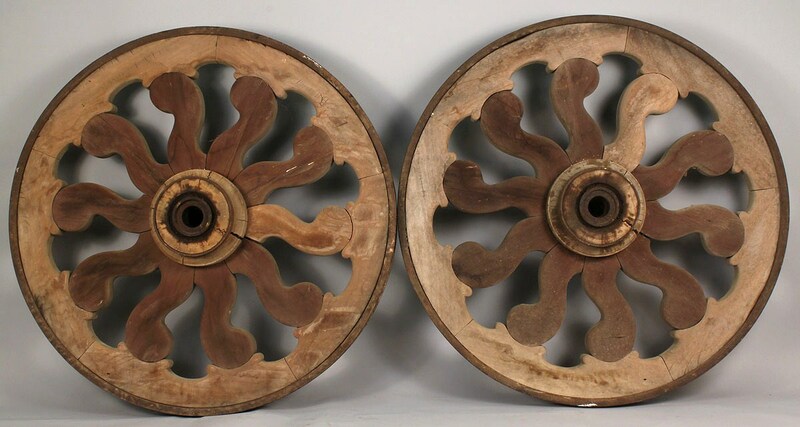 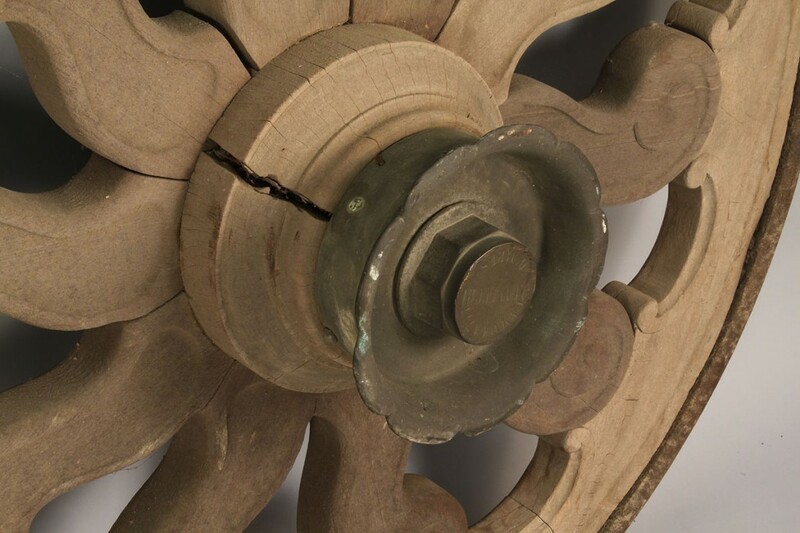 Pair of large chariot or carriage wheels, each with ten scroll carved wooden spokes, cast iron rims and scalloped iron center medallions marked "J. Cavecci / B. 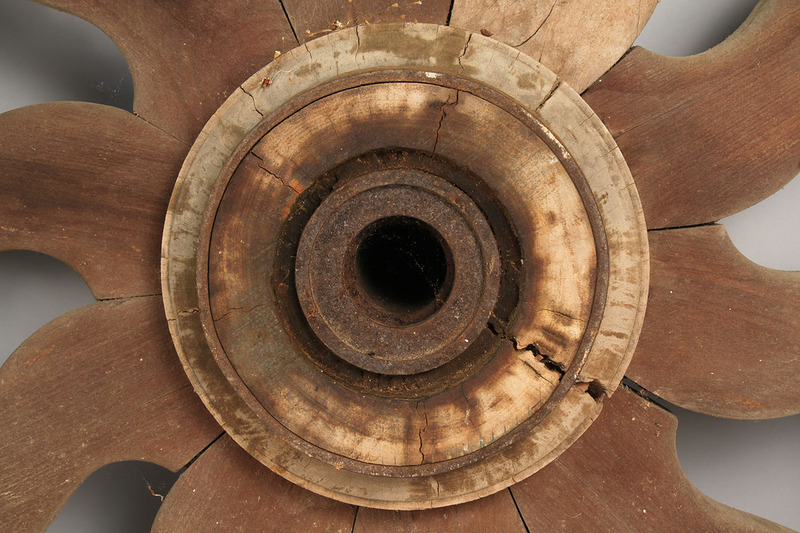 Aires." 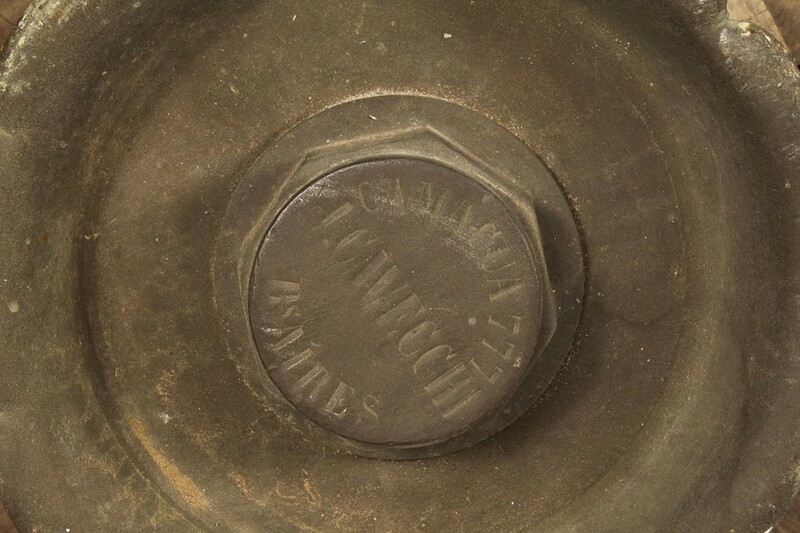 41" diameter. 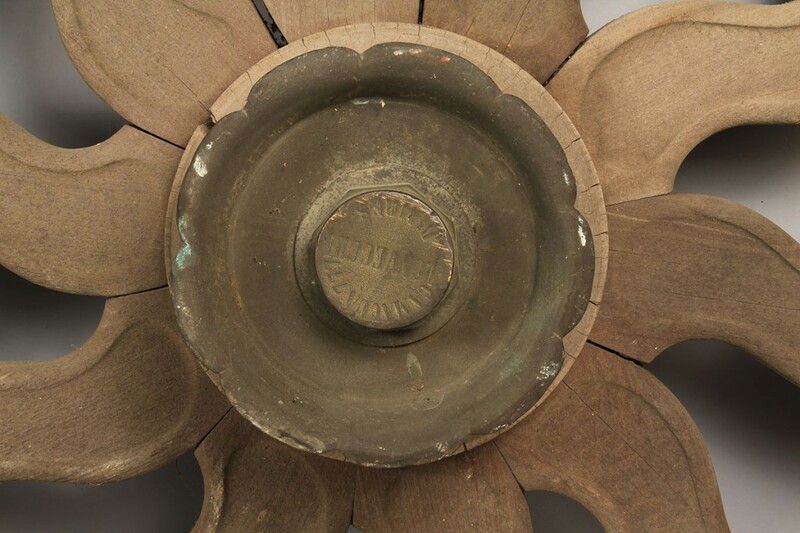 Late 19th to early 20th century. 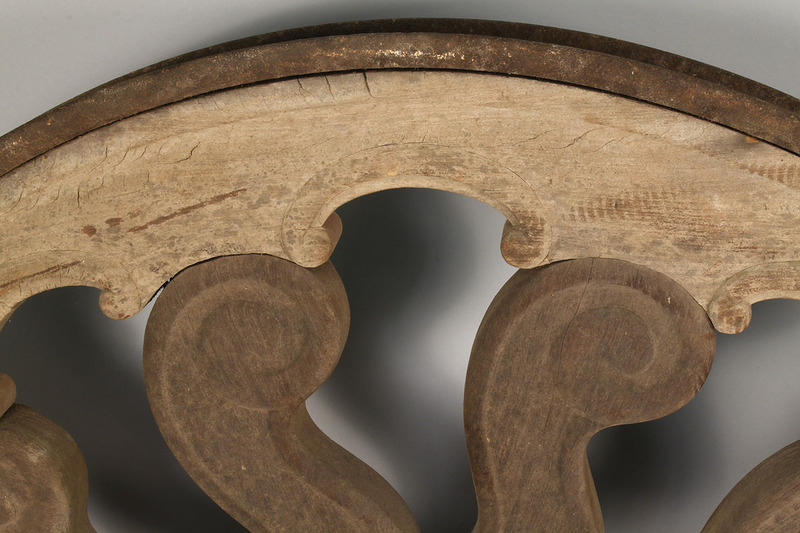 Provenance: Hendersonville, TN collection. 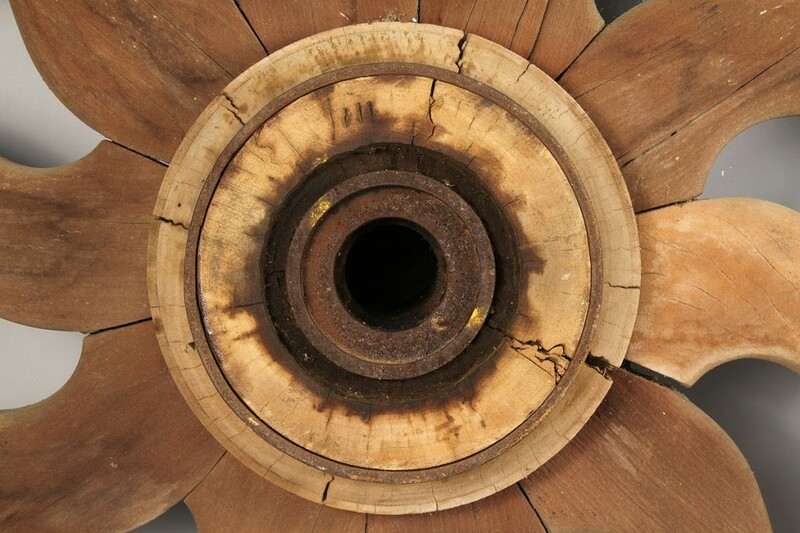 Condition: General wear overall and to rims, some shrinkage cracks.